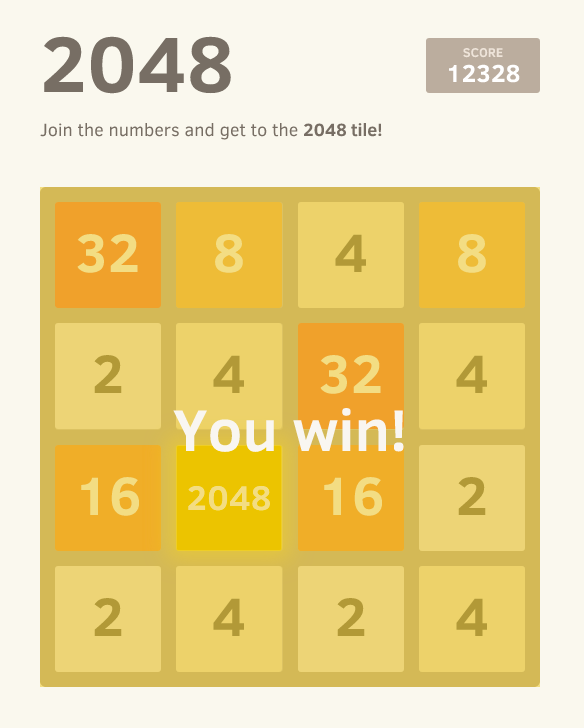 A small clone of 1024, based on Saming’s 2048 (also a clone). I made this in my spare time, and it’s hosted on GitHub (which means I don’t have any hosting costs), but if you enjoyed the game and feel like buying me coffee, you can donate at my BTC address: 1Ec6onfsQmoP9kkL3zkpB6c5sA4PVcXU2i. Thank you very much!